The Paper Review had the privilege of interviewing the co-owner and creative director of the fun, colorful and very inspiring stationery company, Swanky and Bold. 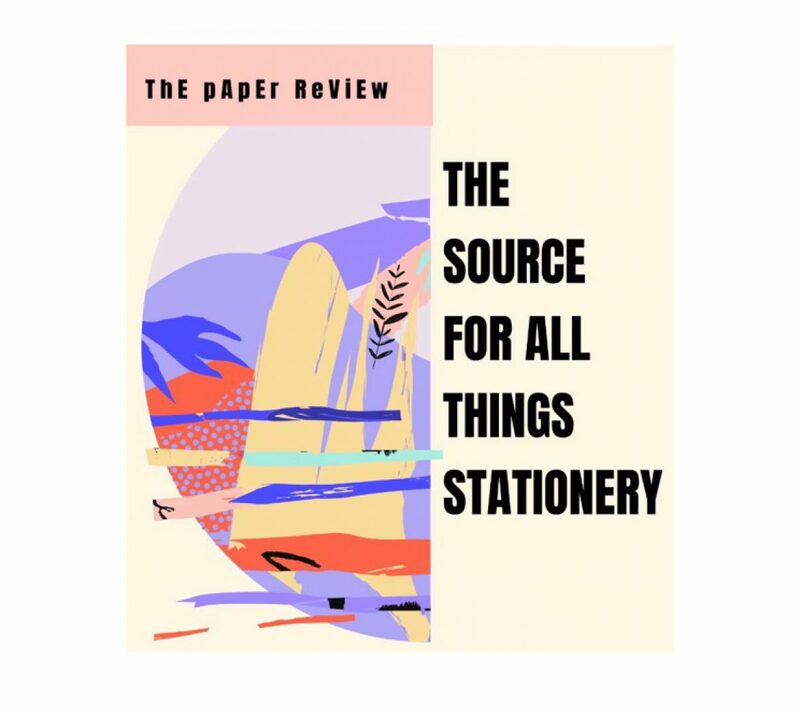 We see the stationery products, we see some behind the scenes photos but The Paper Review wants to dive deeper and share the story of stationery companies around the world. In this interview, you will learn more about the Swanky and Bold brand, started by a mother-daughter duo who took their talents and passion for creativity and turned it into products with a meaningful purpose. You will also get insight on how Kaila and Maria got started and their tips for anyone starting a small business. Keep scrolling to read the informative and motivating interview with Swanky and Bold conducted by The Paper Review! K. Jensen: “Swanky and Bold is a design company that is exploring creative ways to incorporate our love of bright colors and painterly patterns into fun and functional products. We believe in celebrating the yay in every day and aim to encourage more kindness and fun along the way. Our brand combines the notions of sophistication and fun, as we try to encourage others to pursue their dreams, be kind and to not forget to live in the moment. All of our products incorporate one of Maria’s original art pieces. The look of the brand is a combination of hand-painted, vibrant colors and abundant patterns balanced by a clean illustration and modern type or calligraphy. We want the unique design aesthetic of Maria’s paintings to take center stage so we keep our illustrations and typography clean and elegant and our message strong. K. Jensen: “We are a mother-daughter design team. We both love to paint and draw and are happiest when being creative. We discovered early on that one of the great things about working together is that we are better together. We are creating things that neither of us would have done individually. It’s been a journey of creative exploration and we look forward to seeing where it takes us. Maria was introduced to art at a very young age and did the same for me. We’ve had an art studio at our home since I was three years old, which meant endless opportunities for getting messy and playing with color. Every holiday we would host craft parties and make people handmade cards. Looking back, it seems as if it never was a question of if we would start something, but more of a matter of when and we’re so glad we did. When I started studying Entrepreneurship and Innovation in Copenhagen, I had just finished being a designer of paper goods in the wedding industry and was looking for another way to continue creating while making a positive impact on the world. K. Jensen: “We love all things paper. We also love bright colors, painting, collage, calligraphy and typography. Stationery seemed like a natural fit that would allow us to combine our artistic interests with a desire to have our own business. I also love finding ways to incorporate pops of color into my daily tasks. I find it helps motivate me to do things that I don’t always want to do. K. Jensen: “There’s something special about putting a pen to paper; it creates something that can’t just be copied and pasted anywhere or quickly deleted. Imagine receiving a letter written by hand on heavy paper that was tucked into an envelope with a lovely liner pattern. It arrived by mail with a canceled stamp on the corner. The calligraphy of the name and address on the envelope conjure up old-world elegance, a hint of importance. You read words of appreciation, gratitude, love and support. Or imagine sitting at your desk at work with a long list of chores swirling in your head. You have a pretty notepad with original art decorating the edges next to your laptop. You pick up your favorite pen and begin to make your to-do list. You look forward to crossing them off as the day progresses. These are little things in a big, busy world. These moments of enjoyment wrapped in the physical sensation of paper in hand or pen or paper, combined with the visual appeal of color and pattern, add richness to our daily lives. We create products that you want to keep and show off, becoming an accessory to your desk. With the ease of the digital world, it’s easier than ever to send birthday sentiments. While the number of people that I receive birthday wishes from has dramatically increased due to social media and Facebook reminders, it also doesn’t feel so special. Receiving a gift or card that’s picked out just for you is an extremely wonderful feeling. K. Jensen: “We want to create beautiful and functional products that will add enjoyment to the lives of our customers. It’s easy to forget that people may appear on social media to be having the time of their lives even when times are rough. Our hope is to encourage people to send notes for all occasions and if there isn’t one, create one. K. Jensen: “It’s an exciting adventure to start a business. We are fortunate to live in a time when technology makes it possible. We are learning so much. The biggest challenge is finding the time to do all the things that need to be done since there are only 24 hours in any given day. Time management is our biggest challenge. It’s been an incredible and wild ride so far and if we listed all the things we’ve learned, you could probably write a book about it. We have definitely learned that Google is our best friend. Seriously. Without it and the vast knowledge of the internet, we would still be trying to figure out how to get started. K. Jensen: “You can shop our products online! The easiest way is to visit our online store, but you can also purchase directly from our Facebook page and Pinterest page which customers have told us is really simple. We would like to thank Swanky and Bold for participating in this interview with The Paper Review. We are dedicated to highlighting brands that are making an impact in the stationery industry and adding value to lives around the world. To find out more about Swanky and Bold, please visit them on Instagram, Facebook, Pinterest and Twitter. Be sure to visit their website to get your hands on their beautiful products! Follow the blog to stay up to date with company interviews, product reviews and weekly videos! Follow The Paper Review on Instagram!